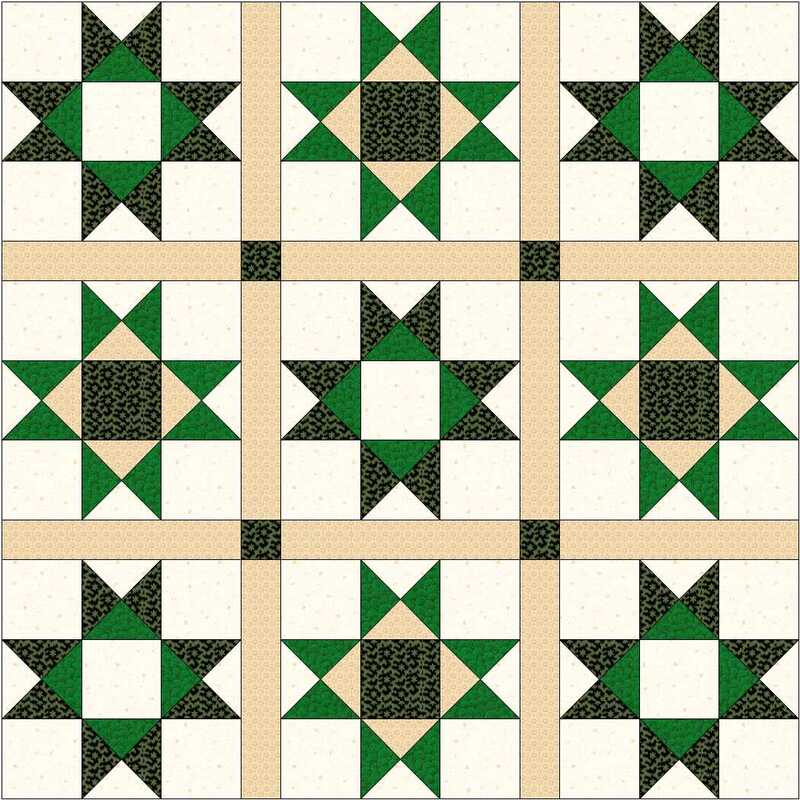 This block really needs no introduction – everyone’s favourite 9-patch star block it has a great many other names including Texas Star, Variable Star, Lone Star, Flying Crows and Happy Home. 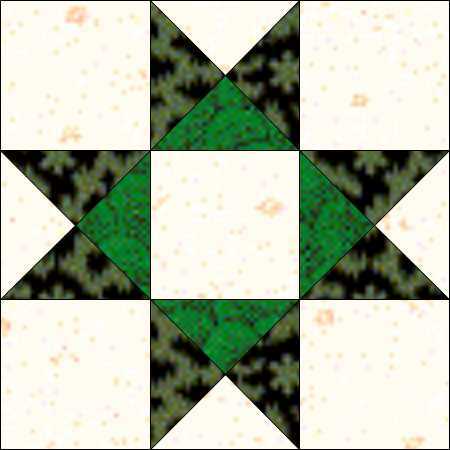 This block has four QST units and five plain squares. You can download the instructions for making the units from our tutorials page and the instructions for the block are here. If you set this block straight set, edge to edge, the stars can disappear – all you see are plain squares and rows of triangles. But try changing some of the colours around or adding sashing to separate the blocks and you will get very different quilts. 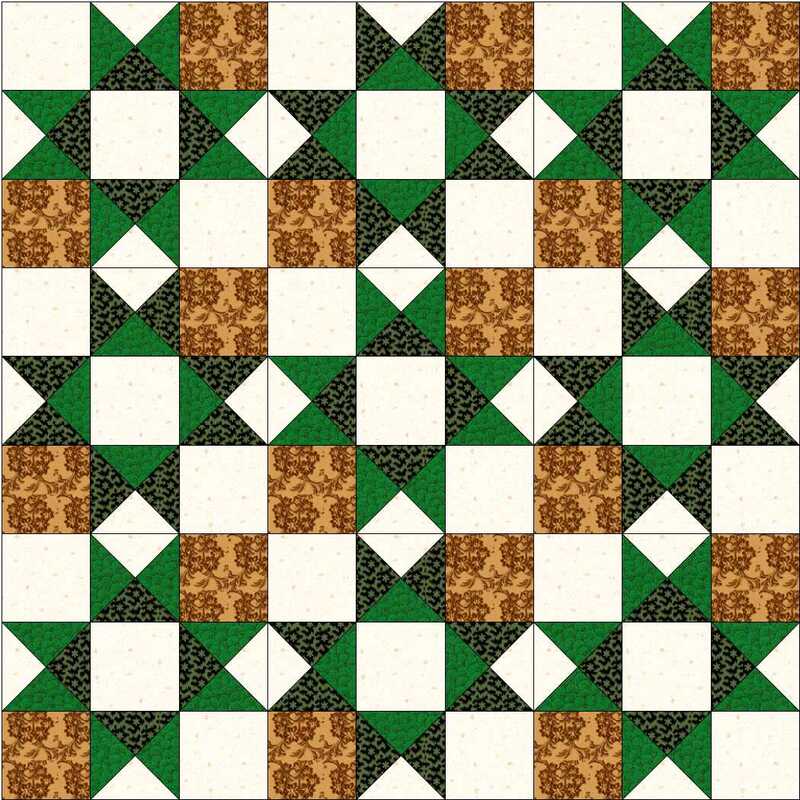 This entry was posted in beginners patchwork, free pattern, machine piecing, patchwork patterns, tutorials and tagged beginners' patchwork, free pattern, nine-patch block, simple patchwork on August 5, 2015 by Chris.